Open oval shaped tree. Serrated leaves that turn bright butter yellow. 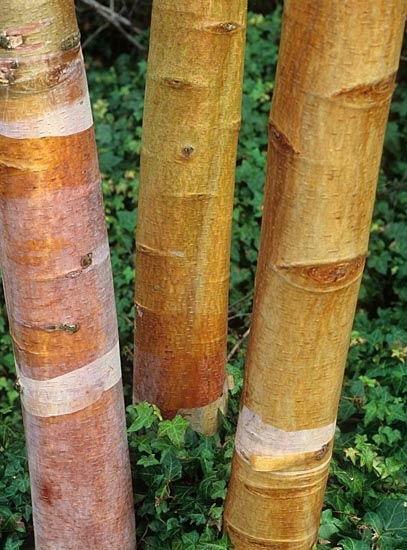 Grown for winter bark, eye catching coppery/pink or orange that peels when mature. Sun or semi shade. 20m tall. Often planted in threes as specimen plants.